If you’re a bright, energetic professional seeking a new challenge, we may have an opportunity for you. Chapman has positions for candidates with a variety of backgrounds and experience levels. We are actively seeking team members for the following positions. If you don’t see the position you are looking for send us your resume anyway and tell us why you’d be a great fit! We are seeking an experienced local Assistant Project Manager to join our Manchester NH office team. 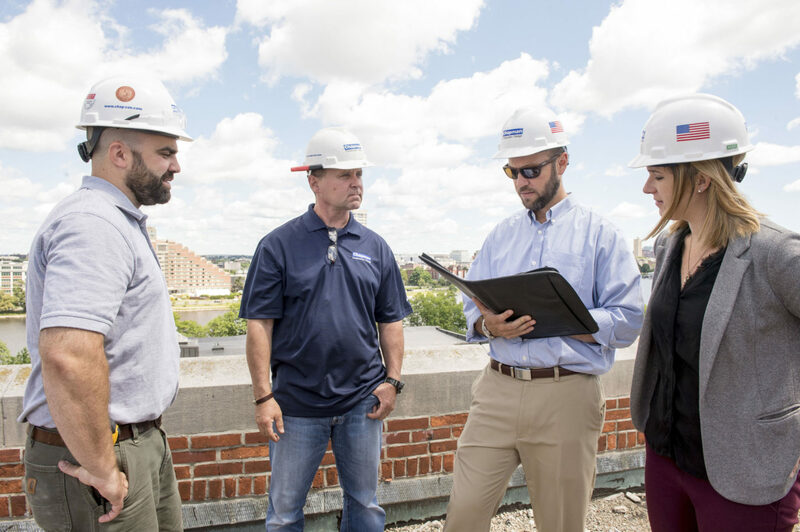 Our Assistant Project Managers work closely with the project management staff throughout all phases of the construction project from generating proposals through closeout. Assistant Project Managers help to ensure compliance with Chapman quality, safety and sustainability standards. Assignments include tenant fit outs as well as new construction for a wide variety of project and construction types, such as corporate, medical, retail, community, institutional, and historical restoration. Oversee completion list and punch list process. Bachelor’s degree (B. A.) from four‑year college or university; or two years related experience and/or training in the field of construction management, construction science, engineering, architecture or similar. 2+ years of experience in the field of construction management. Knowledge of all phases of the building construction process. Understanding of commercial building systems, building science and standard construction practices & techniques. Strong technical & computer skills. The desire to work cooperatively with a team of construction professionals. Working knowledge of NH and MA building codes and ordinances. Resumes can be submitted using the form below. Use this form to submit your resumé. Be sure to tell us what you’d bring to the Chapman team, and identify what area you’re interested in. At Chapman, you’ll be building a career with a progressive, team-oriented company, and if you seem like a good fit, we’ll contact you as soon as we can. Your form was successfully submitted, and your resumé will be reviewed by our team. If you seem like a good match and you have the required skills, then someone will contact you soon.